All the talk was of the three-way Champion Hurdle duel between reigning champion Buveur D’Air and Irish mares Apple’s Jade and Laurina but when Barry Geraghty parted ways with Buveur D’Air, few would have expected owner JP McManus to still make the winner’s enclosure. He did, however, with Espoir D’Allen producing a scintillating display under Mark Walsh, who celebrated in style with a kiss from Hollywood actress Liz Hurley, who presented the prizes. 66 – Willie Mullins' mother Maureen has attended more Festivals than many have had hot dinners and this year’s 66th visit was a memorable one as her son broke his Gold Cup duck with Al Boum Photo, as well as claiming his sixth Irish Independent Leading Trainer Award. Lizzie Kelly was sublime aboard Siruh Du Lac for her trainer/stepfather Nick Williams in the Brown Plate on Thursday with a beautifully judged ride from the front as she led from flagfall but still kept enough up her sleeve to repel a host of challengers on the run-in. 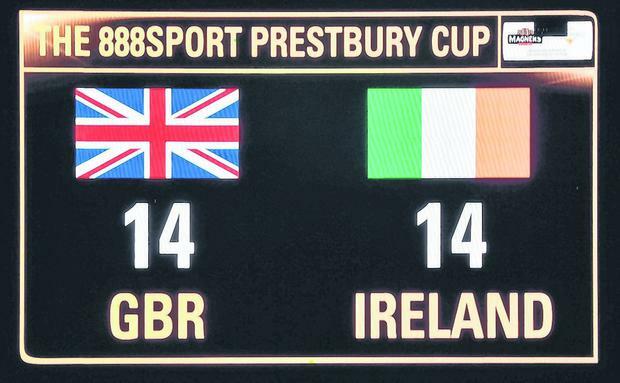 14 – The number of Irish successes which helped the visiting team draw level with the hosts and cling on to the Prestbury Cup for another year. Ted Walsh didn’t hold back in his criticism of the BHA over the lengthy bans handed out to several amateur jockeys this week after watching Any Second Now finally get off the mark in Thursday’s Kim Muir. “If people don’t want to watch racing the way it is, watch Peppa Pig,” was Walsh’s classic response. 7 – The number of Irish trainers on the mark this week with Willie Mullins (4), Gordon Elliott (3), Joseph O’Brien (2), Henry de Bromhead (2), Gavin Cromwell (1), Ted Walsh (1) and Martin Brassil (1) making their mark. When Ruby Walsh started off in customary style by landing the Festival opener on Klassical Dream for Mullins, it looked like the 39-year-old was going to dominate like so often before but Benie Des Dieux’s fall in the Mares’ Hurdle later that Tuesday afternoon set off a frustrating week where no other winner would follow for the legendary Kildare jockey. of Elliott’s brilliant Tiger Roll in the Cross Country Chase under Keith Donoghue.